Nowadays, Norway and Sweden both have vibrant and thriving music scenes, where pioneering musicians record and release some of the most ambitious, important and innovative music that is currently being released in Europe. This is nothing new, and both countries have a long and illustrious musical history stretching back to the early sixties. Back then, Norrköping, an industrial town in Sweden, the town had a thriving music scene, with local bands playing covers of both instrumental and pop music. This ranged from Bobby Darin, Elvis Presley and Neil Sedaka, to The Shadows and The Ventures. Among the most popular local bands in Norrköping, were The Tigers and The Mixers, who initially enjoyed local success before finding success behind the Iron Curtain. By then, music had changed beyond all recognition. The song that changed Swedish musical history was The Beatles’ I Want To Hold Your Hand which was entered the Swedish charts in late 1963, and reached number one in early 1964. This was The Beatles’ first number one single in Sweden, after Please Please Me spent just two weeks in the charts in March 1963. Just like America, Sweden didn’t ‘get’ The Beatles’ brand of three chord pop until 1964, but now that they had, the effects of Beatlemanina transformed could be felt across the country. Suddenly, new bands were being formed across Sweden, including in Norrköping. These new groups were keen to copy the Mersey Sound bands musically and stylistically. The new bands wanted to sound and look like the Mersey Sound bands, and even copied the way their hairstyles and dress sense. Soon, new bands joined existing bands on Norrköping’s vibrant music scene. By then, the Mersey Sound had transformed the local scene, with band vying to become the Swedish Beatles. By 1965, The Scarlet Ribbons which featured lead guitarist Anders Weyde, was a popular beat group on the Norrköping music scene. So was The Rovers, who featured lead guitarist Michael Journath. Their paths would cross when The Rovers was booked to play a gig in a local venue. That night, Anders Weyde just happened to be the audience, and was invited to join the band on stage. After the concert, the two lead guitarists got talking, and realised that they had much in common. This was the start of a friendship between Michael Journath and Anders Weyde. Before long, the two musicians were spending time recording music in Anders Weyde’s small home studio, which was where another new band was born, Cymbeline. The new band was together between 1965 and 1971, and featured Anders Weyde and Michael Journath who were augmented by a few of their musical friends. This includes Ulf Ryberg, who features on Cymbeline’s best known song New York, which was released as their debut single in 1971, with Sixth Image on the B-Side. 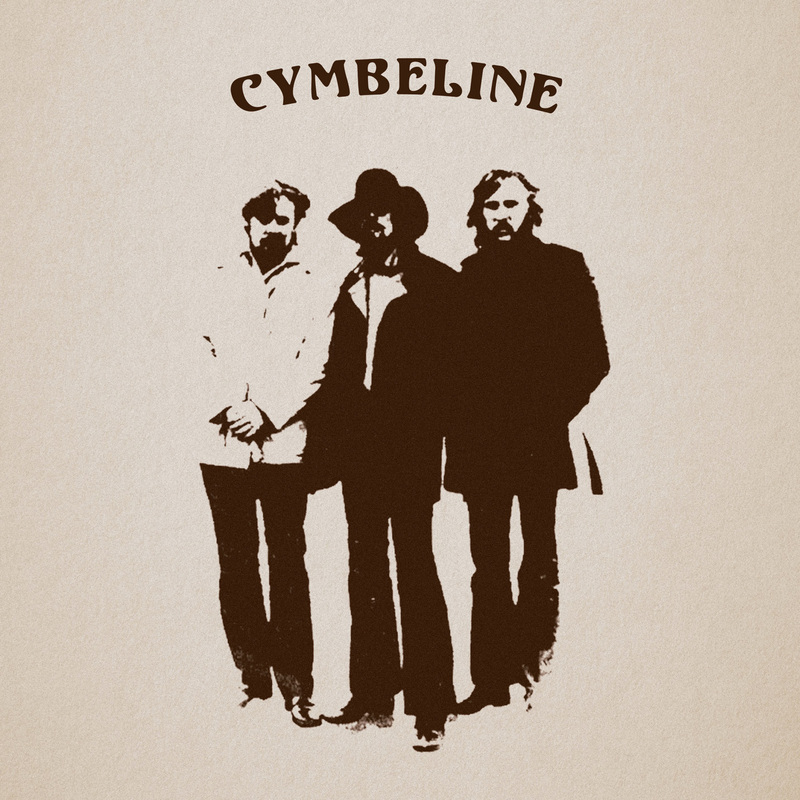 Later in 1971, Cymbeline split-up, and never released any more music…until recently. Forty-six years after the demise of Cymbeline, a new compilation of their music has just been released by Guerssen Records. This is Cymbeline 1965-1971 which features New York and Sixth Image, plus thirteen previously unreleased tracks. They showcase the different sides to Cymbeline. Their music veered between garage-psych, experimental, progressive, psychedelia and psych-prog. Cymbeline was a cut above the average sixties beat group, created ambitious, exciting and innovative music. Sadly, the majority of that music has never been released, and Cymbeline 1965-1971 is a tantalising taste of what lies within the group’s vaults. The music within Cymbeline’s vaults was recorded using what was relatively basic equipment, two Tanberg tape reel-to-reel tape recorders and a four channel mixer. However, what Cymbeline lacked in equipment, they made up for in skill and imagination. That became apparent when Anders Weyde and Michael Journath recorded their first two songs together. At Anders Weyde’s small recording studio, the two musicians planned to record two teen beat songs with a psych influence, Imagination and Look At The Stars. Anders Weyde became a one man rhythm section playing drums and bass. He also played acoustic guitar and shared the lead vocal duties as they laid down the two songs. Sadly, the two songs were never released, and Anders Weyde and Michael Journath’s respective careers continued. As 1965 gave way to 1966, Anders Weyde and Michael Journath continued to play with the other groups they were involved with. Cymbeline as the nascent band became known during 1966, was a side project that they worked on when they had time. However, like many imaginative and innovative musicians, Anders Weyde and Michael Journath were tiring of playing cover versions of popular songs. They had ambitions beyond being in a covers band, and started to realise their ambitions by unleashing their creativity. It was around this time, that Cymbeline recorded the triumvirate of Image songs. During the recording of Third Image, Fifth Image and Sixth Image, usually, the session started with a bass line being laid down. To this, guitars were added, with chord progressions being joined by either an electric guitar or piano. Sometimes, drums were added, before Cymbeline embarked upon a science experiment. This would see the two members of Cymbeline adding recordings of everyday items, ranging from the sound of a refuse chute or an electric cocktail mixture. Sometimes, the sounds of birds were recorded, and added to the mix. Other times, pieces of furniture, including an armchair was transformed into a makeshift musical instrument. Usually, everything was improvised with no melody in place. That came later, and was based upon the chord progressions. The result was the triumvirate of Image songs, which are among the most ambitious, innovative tracks Cymbeline ever recorded. They fused elements of avant-garde, experimental, garage rock, pop, psychedelia and rock on the trio of Image tracks that were far removed from the covers they had been playing with their other bands. Despite enjoying the freedom to experiment with Cymbeline, Anders Weyde hadn’t given up on making a breakthrough and enjoying a successful musical career. He wrote the lyrics to the single he released in 1966, which Anders Weyde sung in Swedish. However, commercial success eluded Anders Weyde, and it was a case of as you were. By 1967, Anders Weyde had decided the time had come to upgrade his home studio. After the building work was complete, he had a professional recording studio which rivalled anything in the local area. This wasn’t the only change that Anders Weyde had made. As 1967 downed, Anders Weyde and Michael Journath decided to turn their back on the experimental music that they had been making. This was a great shame, as the Image triumvirate was a tantalising taste of the type of music Cymbeline was capable of making. In its place, the two members of Cymbeline decided to make more traditional music, and music that they could replicate live. This wasn’t possible with their much more experimental sound. In the upgraded recording studio, the quality of music that Cymbeline started to improve. The music they wrote was full of social and political comment, and showcased a talented, versatile and imaginative band with a social conscience. Another song that took shape during this period was the piano lead Motala Ström, which was also the band’s name for a while. It’s a carefully crafted fusion of garage-psych and rock. Cymbeline showcase their considerable musical skills during Mittuppslag, as a funky wah wah guitar sits above the rhythm section until it’s replaced by the vocal. When it returns it continues to play a starring role on what’s one of Cymbeline’s finest examples of fuzzy Swedish psych-prog. However, Flicka was one of Cymbeline’s finest songs as they combine elements of psychedelia, jazz and progressive rock. This more than hinted at the direction Cymbeline’s music was heading. Having moved away from experimental music, and embraced a much more commercial sound, Cymbeline would occasionally play live. Augmenting Anders Weyde and Michael Journath were a few of their musical friends, as Cymbeline showcased their latest songs. When they played live, Cymbeline was a popular draw. Despite this, Cymbeline continued to spend the majority of their time in studio. During this period, Cymbeline proved to a prolific band and continued to write and record new music. This continued as the sixties gave way to the seventies, and two became three, when Ulf Ryberg joined Cymbeline. The addition of Ulf Ryberg coincided with Cymbeline recording and releasing the Ulf Ryberg composition New York as a single. The addition of Ulf Ryberg’s distinctive vocal played an important part in transformation of Cymbeline, as they combined elements of progressive rock, psychedelia and rock on his this long-lost hidden gem. Tucked away on the B-Side was a rerecorded and rearranged version of Sixth Image with Ulf Ryberg taking charge of the lead vocal. Cymbeline’s long-awaited debut single New York was released on the Greenlight label in 1971. Sadly, the single failed to make any impression on the Swedish charts. Despite the failure of the single, Cymbeline headed to Europafilm Studios, in Stockholm where they began recording demos for their debut album. During the sessions, they recorded several tracks, including Stolta Vingar II. It finds Cymbeline fusing elements of folk and blistering, rocky guitar licks on this glorious examples of fuzzed out Scandinavian psych-prog. Strax Nedanför Tornen is another song that shows a very different side to Cymbeline’s music as they combine psychedelia, progressive rock and some funky wah wah guitar. It’s another of Cymbeline’s finest hours, and shows that the band was on the right road. Sadly, Cymbeline never finished recording the demos for their debut album. There was no fall out, and Cymbeline certainly didn’t take a wrong turning. Instead, the three members of Cymbeline decided to turn their back on music, and focus on their education and careers. Later, Anders Weyde founded his own video production company, while Ulf Ryberg became a writer for Swedish television. Michael Journath turned his attention to science, and became the editor of a Swedish scientific magazine. However, they never forgot about the time they spent writing, recording and performing as Cymbeline. Sadly, it looked as if Cymbeline’s music would never find the audience it deserved. That was until recently, when Guerssen Records released Cymbeline 1965-1971, which features fifteen of the band’s finest songs. These songs had lain in Anders Weyde’s garage for over forty years, and at last, Cymbeline 1965-1971 showcases one of Sweden’s great lost bands. Although Cymbeline were only together for the six-year period between 1965-1971, they were a prolific band who recorded an eclectic selection of music. A representative selection of that music can be found on Cymbeline 1965-1971, which showcases a talented and versatile group that had the potential to enjoy a long and successful career. Ironically, Cymbeline’s music was tailor-made for the seventies, and they could’ve gone on to enjoy commercial success and critical acclaim. Sadly, that that wasn’t to be and three members of Cymbeline decided to concentrate on their education and careers. As a result, the Cymbeline’s story is a case of what might have been? Just like Terry Malloy in On The Waterfront, Cymbeline: “could’ve been a contender, could’ve been someone.” However, the three members of Cymbeline all went on to enjoy successful career in other fields, and didn’t seem to miss music. To quote Tom Rush’s song No Regrets it was a case of: “there’s no regrets, no tears goodbye. Don’t want you back.” Cymbeline’s decision to split-up in 1971, and concentrate on their education and careers was music’s loss. There were no reunions nor comeback from Cymbeline, who had enjoyed the six years they had spent making music. This includes the fifteen tracks on Cymbeline 1965-1971, which showcases the different sides to Cymbeline. So does the folk-tinged sound of Mary Anne and the lysergic, spacey and experimental Vinden Viskar Mary which at times, hints at Jimi Hendrix at his innovative best. These two tracks show very different sides to musical pioneers Cymbeline. Their music veered between garage-psych, progressive, psychedelia and fuzzed out Scandinavian psych-prog. Cymbeline also incorporated elements of avant-garde, experimental, folk and rock on the fifteen tracks on Cymbeline 1965-1971. These tracks feature one of Sweden’s great lost groups, who created ambitious, exciting and innovative music. Sadly, the majority of that music has never been released, and Cymbeline 1965-1971 is a tantalising taste of what sonic adventurers Cymbeline were capable of.